If you or your child have ever delighted in a well-worn, loved-to-shreds stuffed animal, then Hooray for Amanda & Her Alligator by Mo Willems will become a well-worn, loved-to-shreds book on your shelf! This delightful tale of Amanda and Alligator expounds all the emotions of childhood – waiting, wondering, wishing, and wanting. 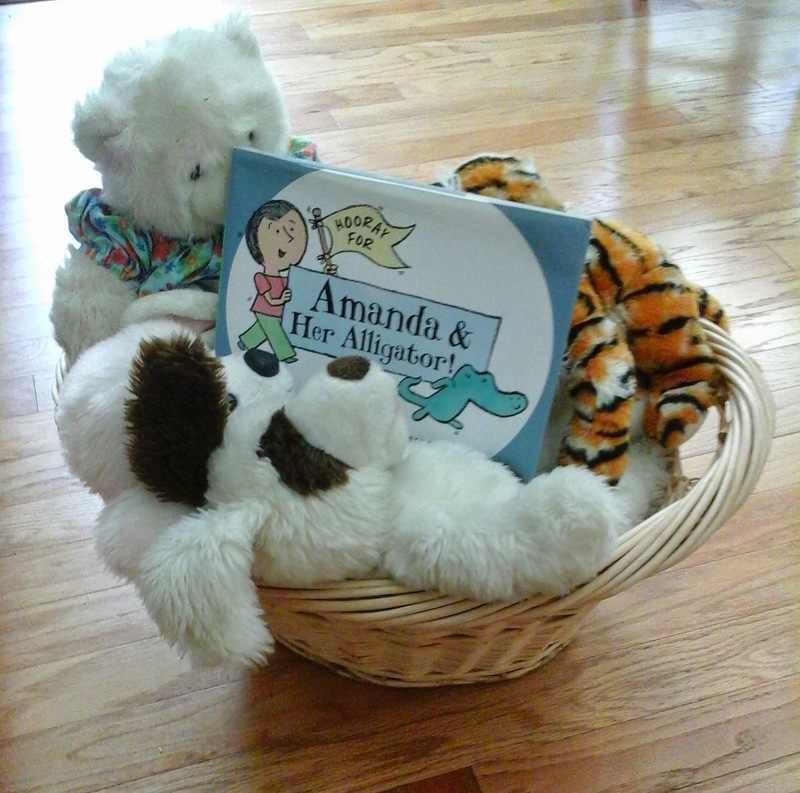 Alligator must wait while Amanda is at the library and hopes for a surprise. When she returns, Amanda delivers a “Boo” which is the “most interesting surprise.” The simple drawings are crisp and clean, ideal for any age child. There are six and a half stories about the friendship of Amanda and Alligator, all of which include surprises. Alligator discovers a sale tag which reveals he cost Amanda a mere seven cents. The reader learns that “When friends ask you to tell the truth, you tell the truth.” Amanda reveals that he was priced for seven cents, because no one wanted to buy Alligator. This saddens Alligator until Amanda explains, “Because they knew you were meant to be my best friend.” Alligator’s friendship with Amanda is tested again, when Alligator is left at home to wait while she is at the zoo with her grandpa. Children will relate to Alligator’s dislike of waiting. Finally, when Amanda returns, she enters the door with a brand new (and probably expensive) fluffy panda. No one is more surprised than Alligator that he and Panda turn out to be friends.